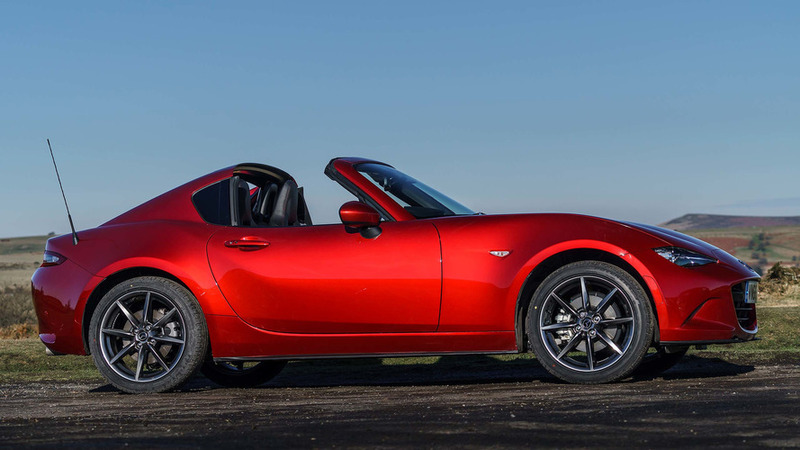 Mazda MX-5 becomes a part-time GT. 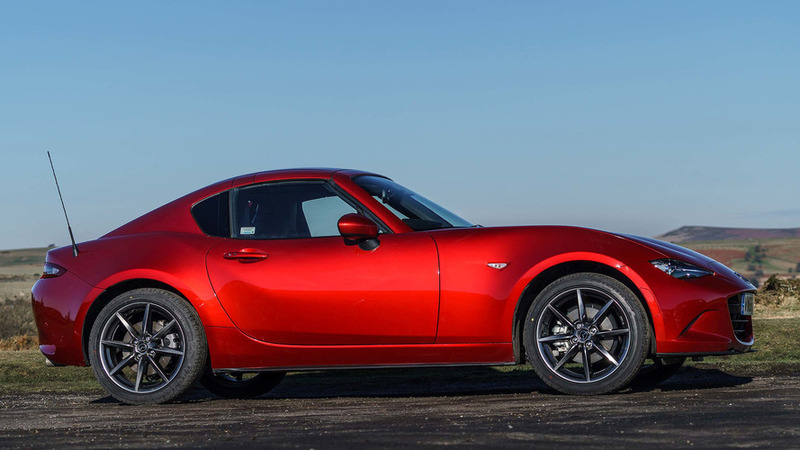 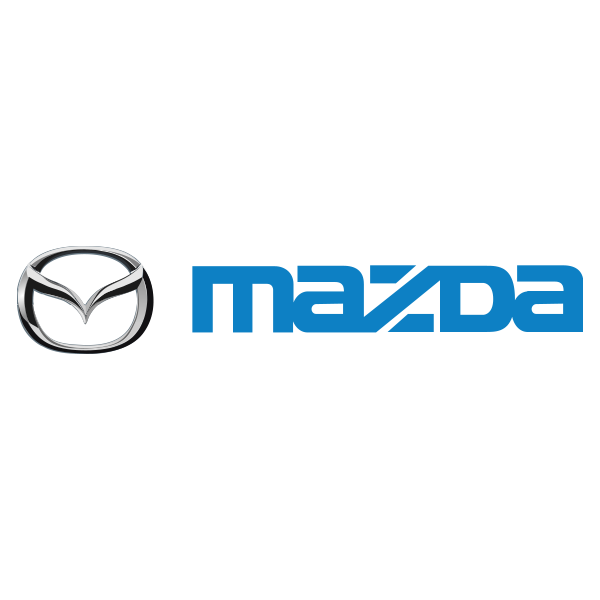 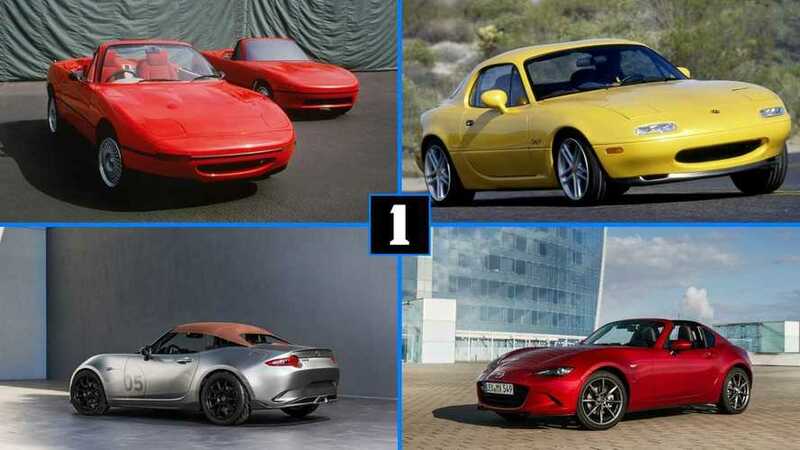 Through four generations, the Mazda MX-5 has been the perfect roadster. 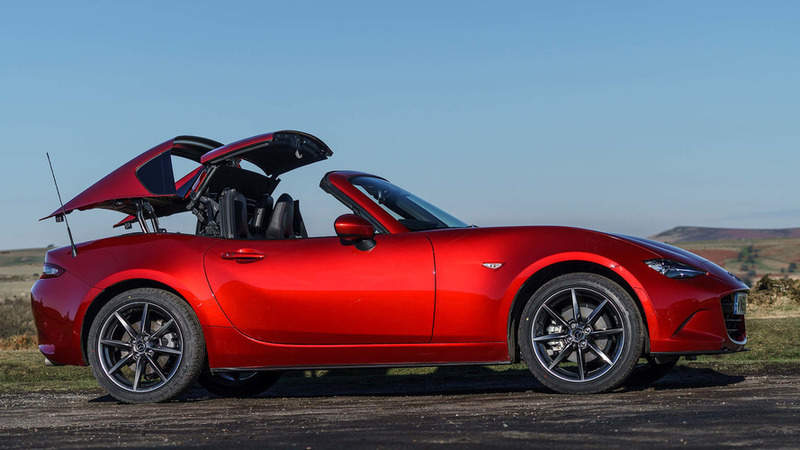 The last version came with the option of a retractable hardtop but the style remained essentially the same. 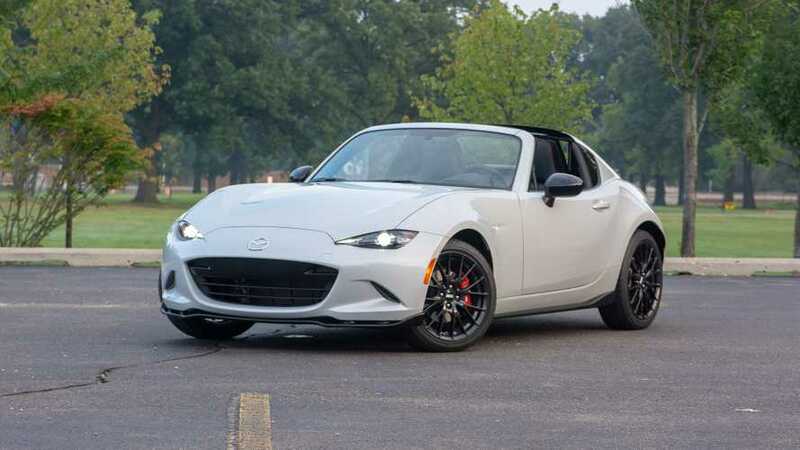 This time, things are different. 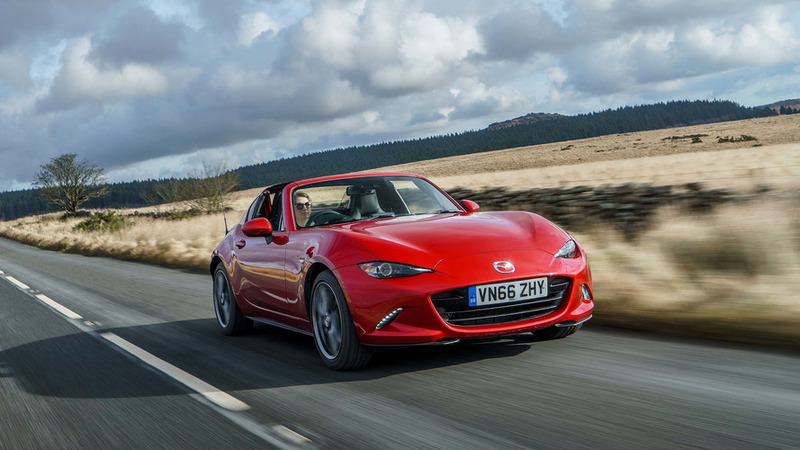 The regular roadster, launched back in 2015 to ecstatic reviews over its lightness, compactness, regained mojo and much else besides, is now joined by the new MX-5 RF. 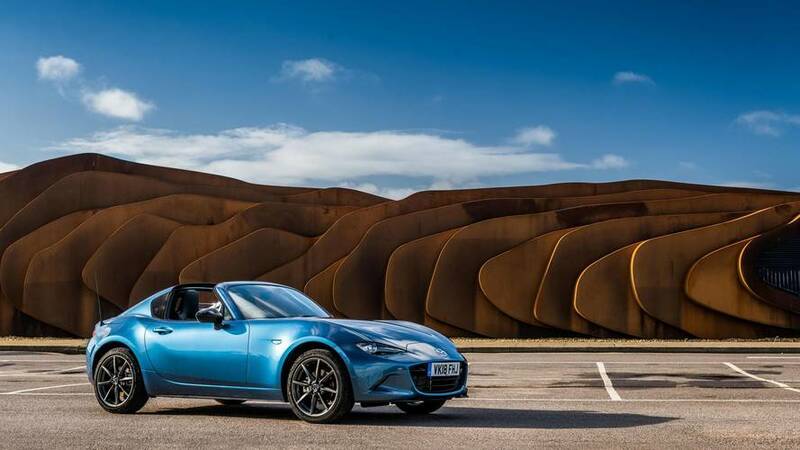 The letters stand for Retractable Fastback, and they allude to the fact that from the side, whether the roof is open or closed, the little sports car now takes on the racy profile of a fastback coupé. 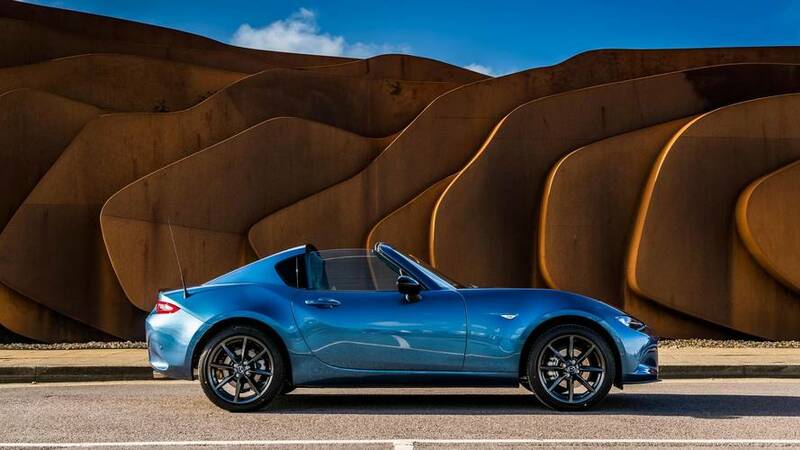 You can have the roof panel closed, to make it a real coupé, or open, in which case your RF becomes a targa. 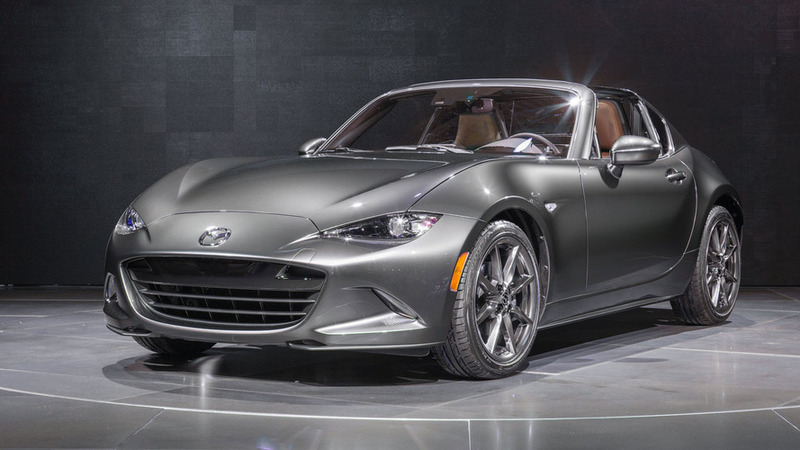 In most other respects it's MX-5 business as usual… but not all, as we shall see. 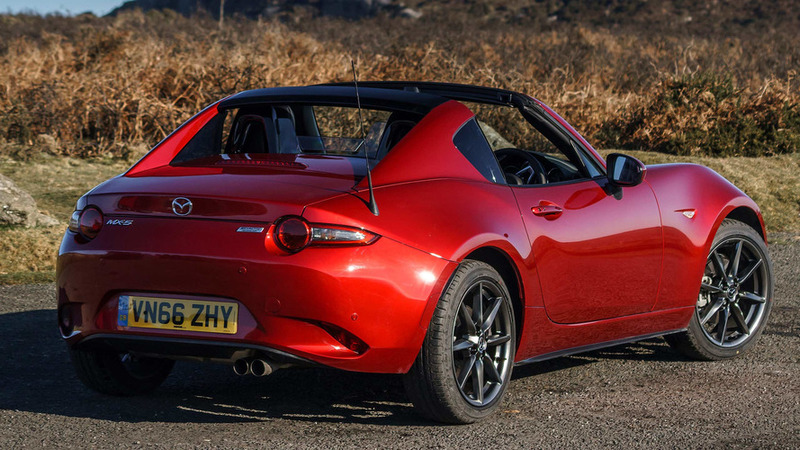 That new roofline gives the MX-5 RF a surprising taste of Ferrari Dino. 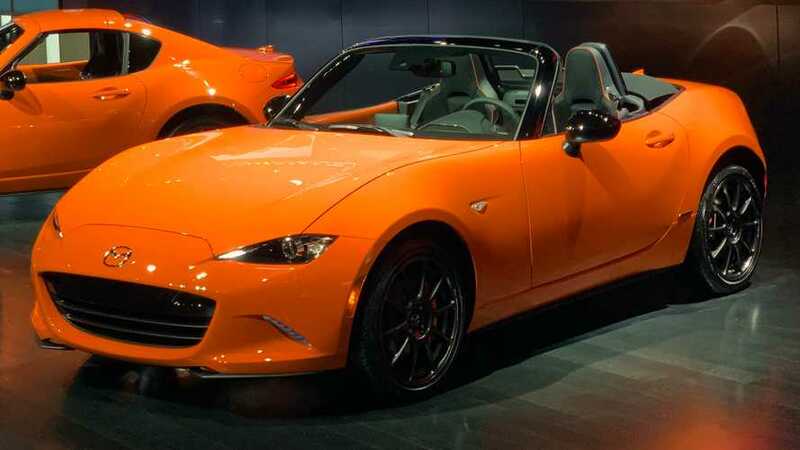 It's the little rear side windows with their backward slope, and the vertical rear window flanked by buttresses, that do it, although the overall proportions are still those of a front-engine, rear-drive sports car rather than the short-nose, long-tail Dino. 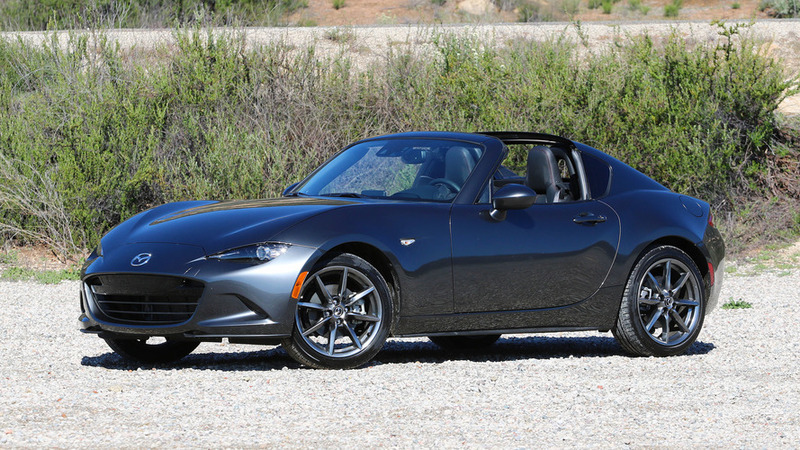 Mazda has released another not-black Sport Black.